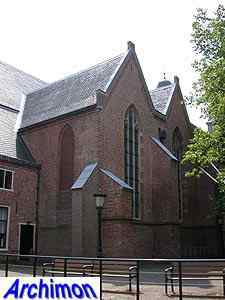 The Nicolaïkerk ("Church of St. Nicolas", also known as Klaaskerk) is one of Utrecht's original four parish churches. 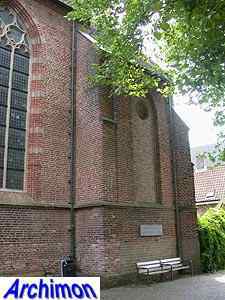 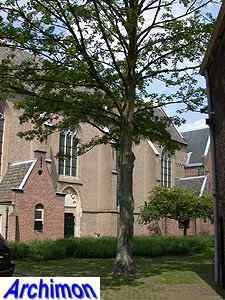 This church was the center of a large parish, that even included several villages like De Bilt and Vechten. 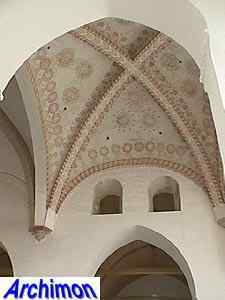 Its history goes back to the 12th century, when a three-aisle vaulted cruciform basilican church in Romanesque style was built. 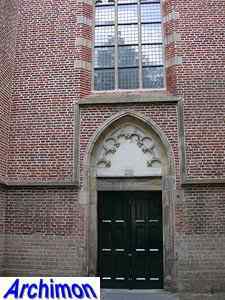 Of this church the front is the most noticeable surviving part. 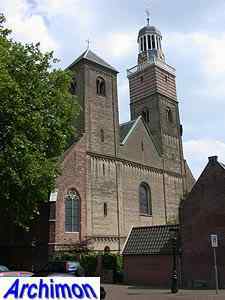 Unusual for a parish church are its two towers. 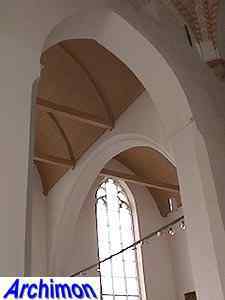 Both towers have been crowned with tall spires in the past. 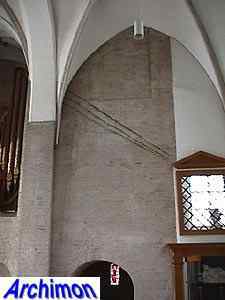 The southern tower was the first to be changed, and was heightened in 1586 to accomodade a carillon. 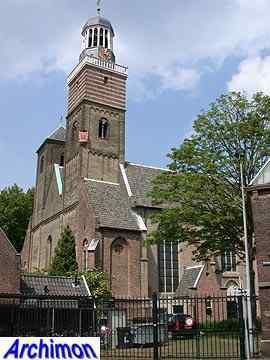 The northern tower lost its spire during the tornado of 1674, and was given the current roof afterwards. 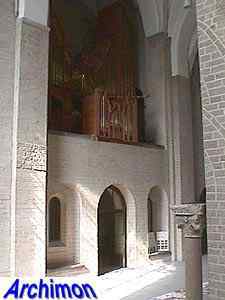 The church underwent several changes in Romanesque style since it was built. 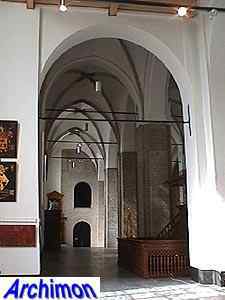 But between 1444 and 1479 a new church in Gothic style was built, although many parts of the old church were used which are still visible inside of the church. 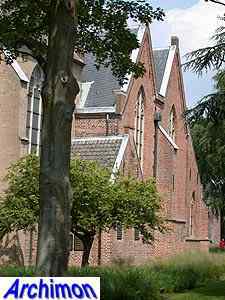 The result was the current hall-church. 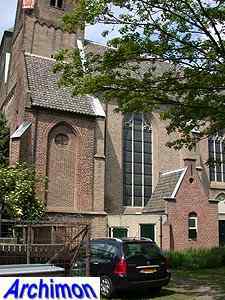 Although originally a parish-church, the St. Nicolas became a monastic church in 1529, when the Carmelites where forced to hand over their monastery to the Knights of Saint John, who themselves had been forced to leave their monastery which was demolished to make room for castle Vredenburg. 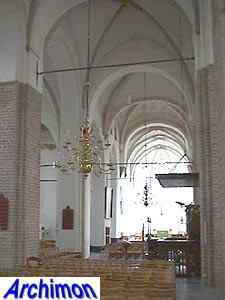 The Carmelites found a new home in the St. Nicolas parish. 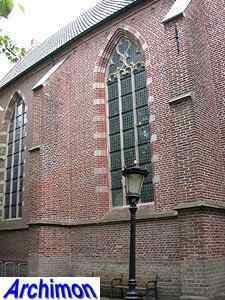 In 1566 protestant vandals damaged the church, and finally took over the building permanently in 1579. 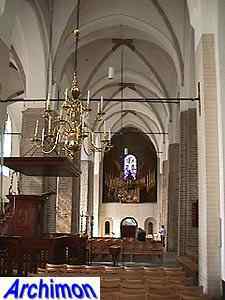 The interior was completely demolished in order to make it fit for protestant services. 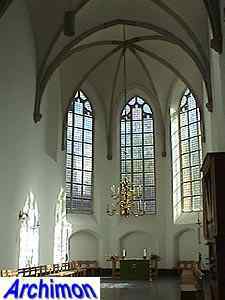 Apart from a few periods when the church was used to accomodate soldiers or horses, it has been a protestant church ever since. 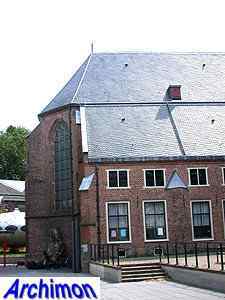 Utrecht's Central Museum occasionally uses it for exhibitions as well.